I always say, “messy memories are the best ones made”. The reason I believe this is because messy means creativity and fun. Two things we try to have a lot of around our home. 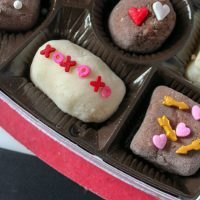 Our latest messy and fun creation was this Box of Chocolates Playdough. If your little one loves making messy memories and enjoys Playdough, they will love this! In a bowl, mix your flour, salt and of cream of tartar until mixed well. Next, add the water, vegetable oil and mixture from step 1 into the sauce pan on low-medium heat. Mix well. Stir this until the play dough starts to form. Once formed, remove half the batch from the sauce pan and set onto wax paper to cool. 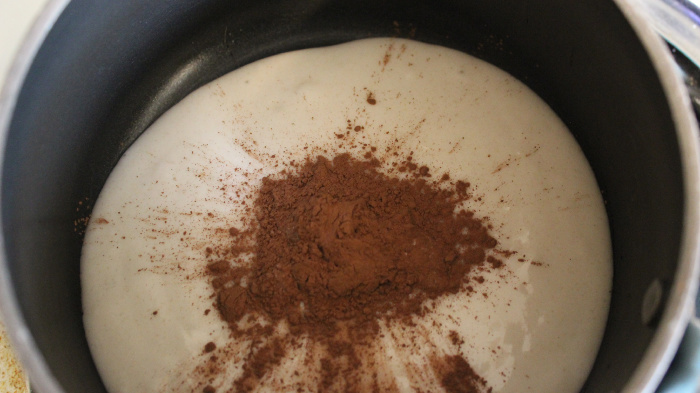 Leave the other half in the pan and add the cocoa powder and stir well. You divide this mixture into two batches because one will be the white chocolate and the other will be the milk chocolate. Our kids wanted more milk chocolate so we made that batch a bit bigger. 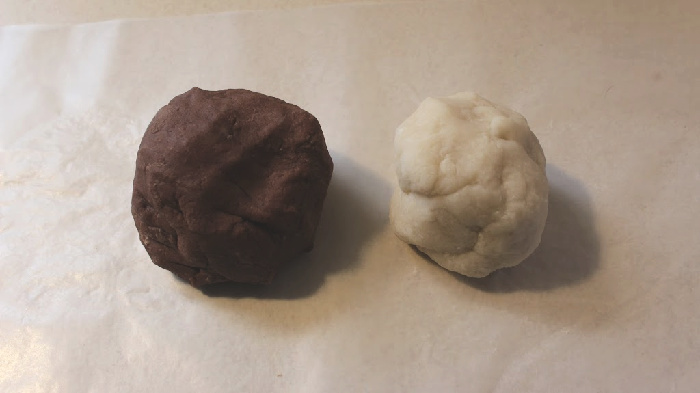 Turn this batch onto a piece of wax paper to cool. 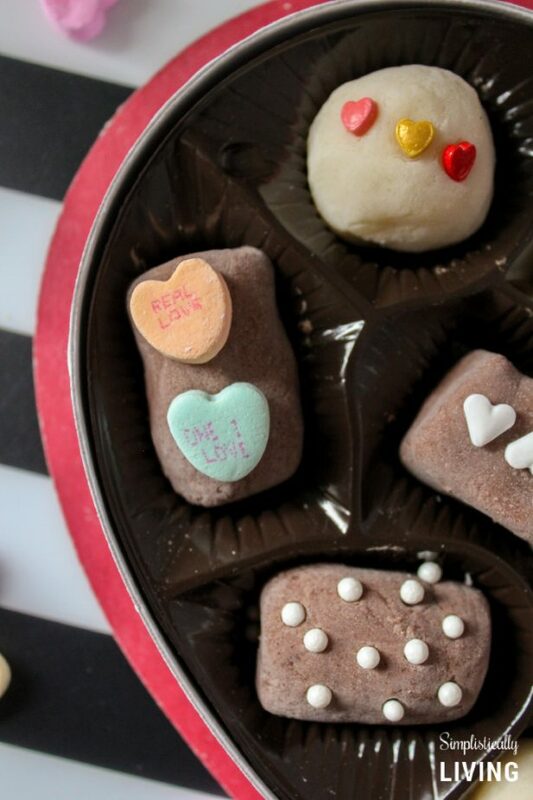 Once cooled, get a dish with Valentine’s Day sprinkles and candies. 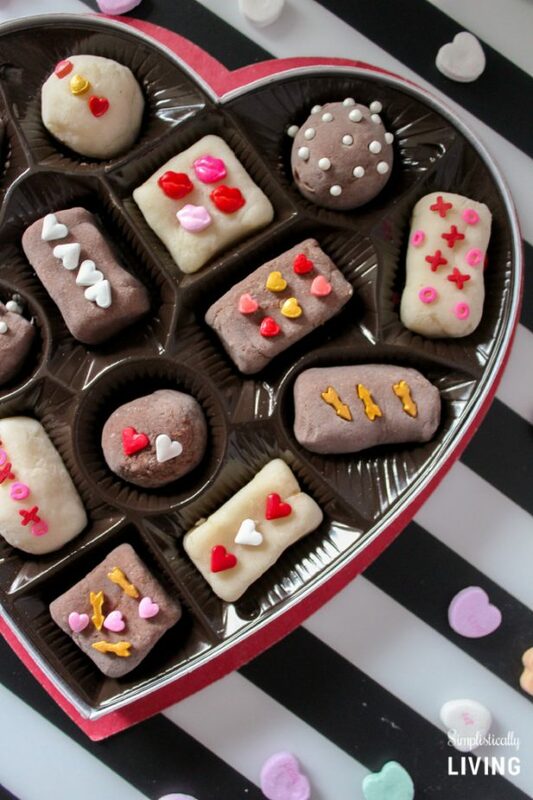 Give your child an empty box of chocolates and allow them to create their own play dough versions of Valentine Chocolates! 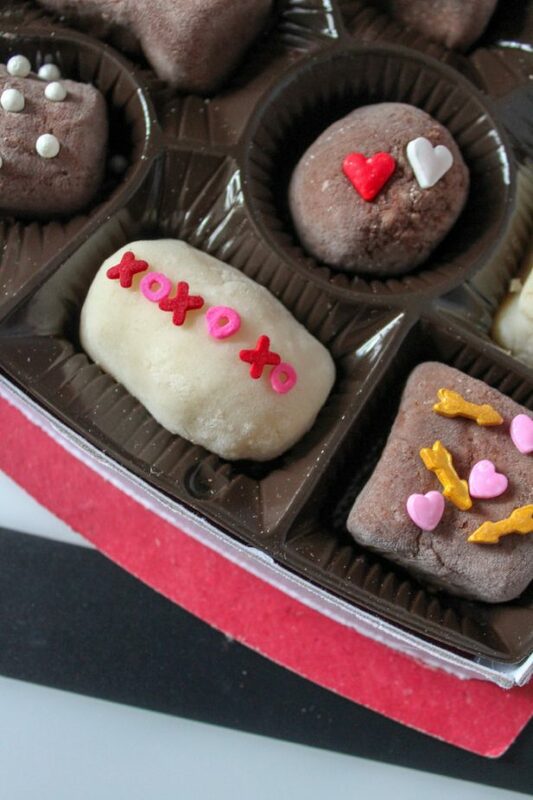 Check out the full recipe for this DIY below! 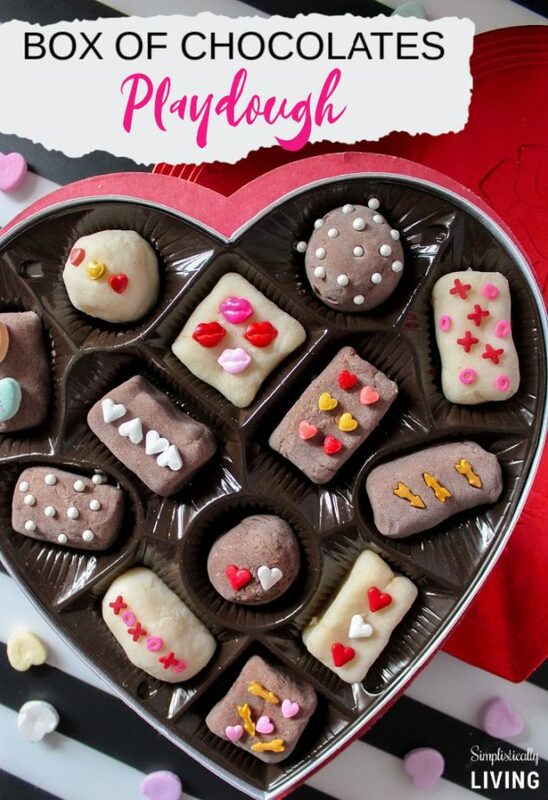 Want another fun craft idea? 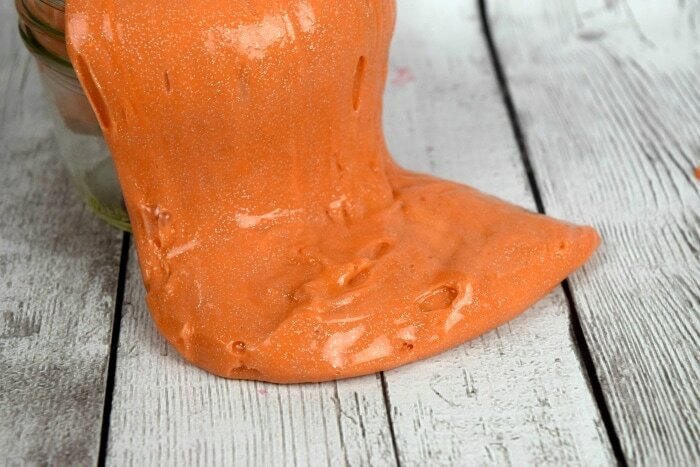 Check out this DIY Orange Slime!